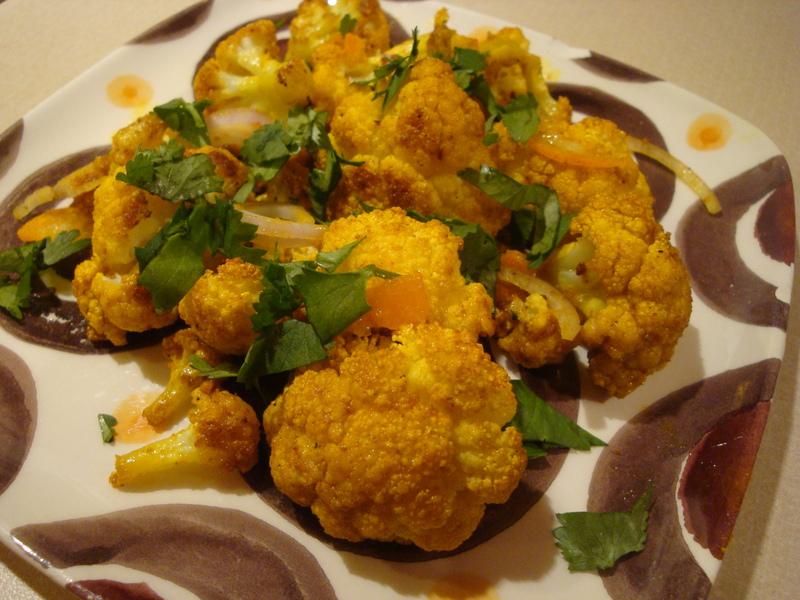 This roasted cauliflower is not only delicious, it’s good for you! 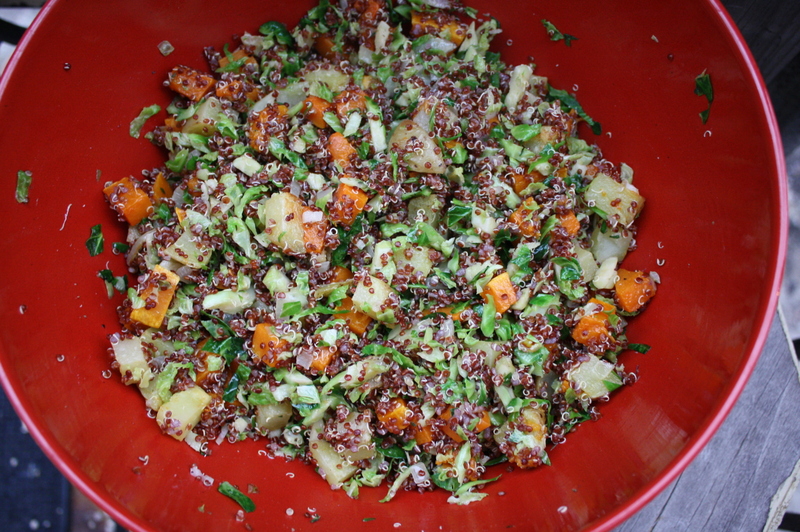 In a prelude to the original recipe, it states “The turmeric, white peppercorns and coriander seeds are beneficial to the respiratory and circulatory systems; the kumquat, with its sour and bitter tastes, warms the chest and eases coughs.” And I will say that the shallot I used was hot, hot, hot, – adding to the overall warming effect. Served with these Indian-spiced chicken burgers, which made for a great meal. A French Pinot Gris was a perfect match for the spices of these two dishes. 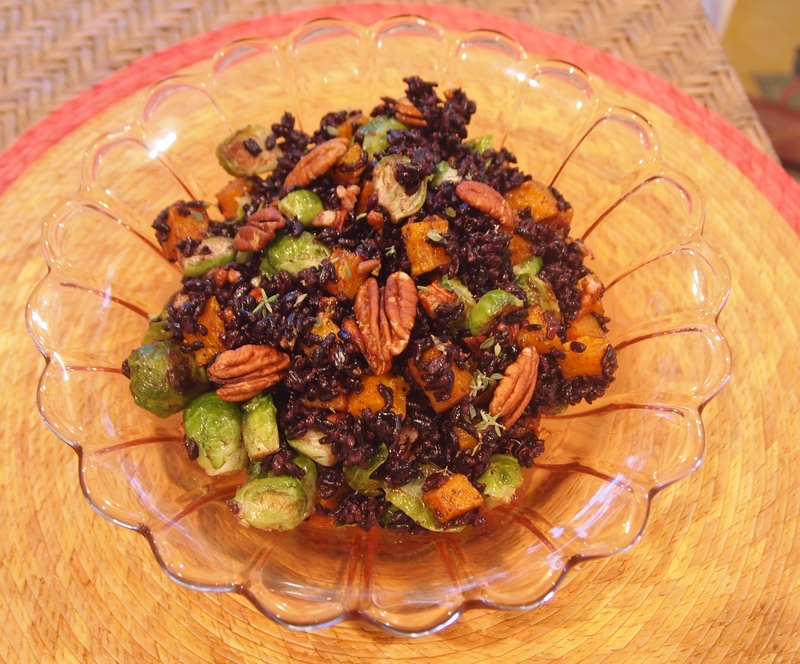 In a small bowl, whisk together the olive oil, spices, salt, garlic and crushed red pepper. Place the cauliflower on a large foil-lined rimmed baking sheet. Drizzle the cauliflower with the olive oil mixture and toss to coat. Roast for 20-25 minutes, until the cauliflower is tender. Check and stir after 15 minutes. 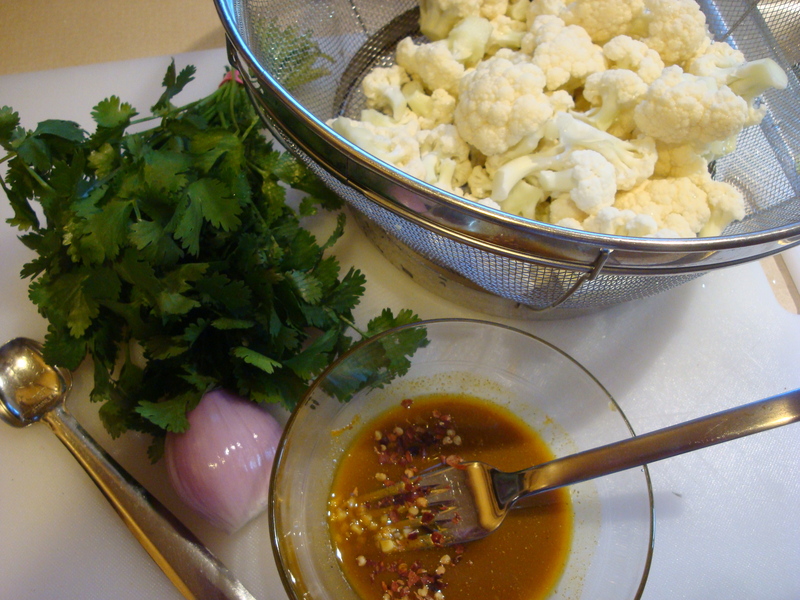 Scrape the cauliflower into a serving bowl. Add the sliced shallot, kumquats and cilantro and toss well. Can be served hot, warm or room temperature. I saw this recipe in Food & Wine this month and since it has fall vegetables paired with some of my favorite aromatics and ingredients, I thought I’d give it a try. I thought it sounded good, but was delighted by how delicious it was – it way outstripped my expectations! Of course, I made adaptations – I can’t help but tinker! 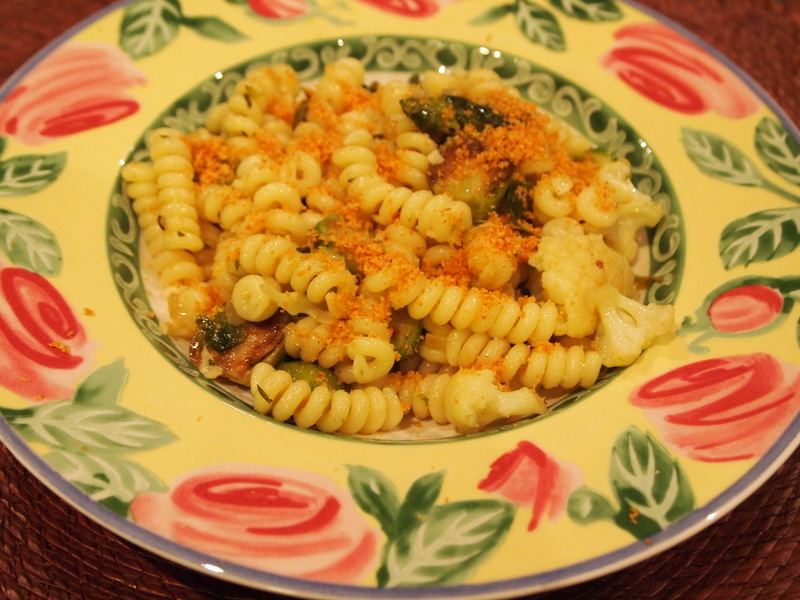 I thought this would be too difficult to eat with bucatini, so instead used a my favorite small pasta shape, fusilli bucati. I think other small pasta shapes would be excellent, or you might want to try the bucatini of the original recipe. 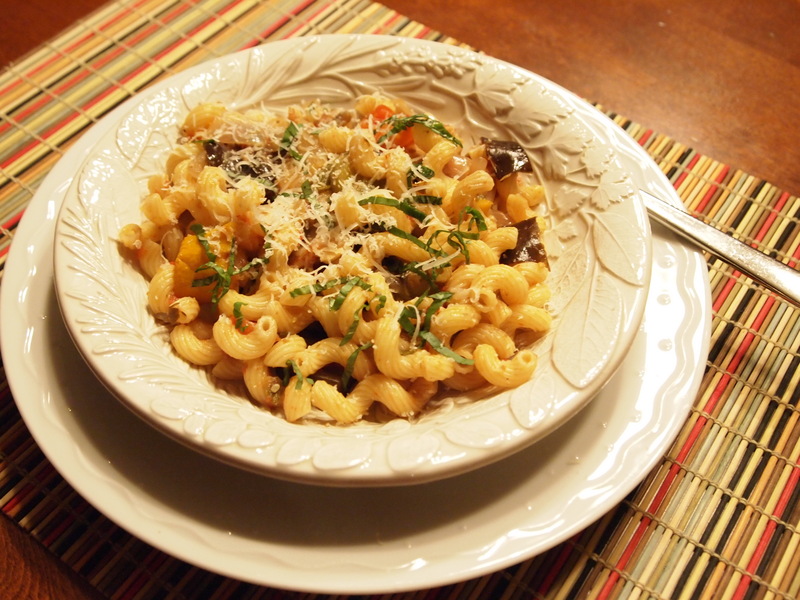 (Actually, I think this would make a great side vegetable dish without the pasta.) You might be inclined to skip the toasted breadcrumbs, but I would advise against this. They added both flavor and texture and, to me, really made the dish. A bonus is that this took only about 30 minutes start to finish! We served this with roasted salmon and an Italian Orvieto white wine. I will definitely make this again! In a small skillet, heat the 2 tablespoons of olive oil. Add the bread crumbs and cook over moderately high heat, stirring, until golden and crisp, about 4 minutes. 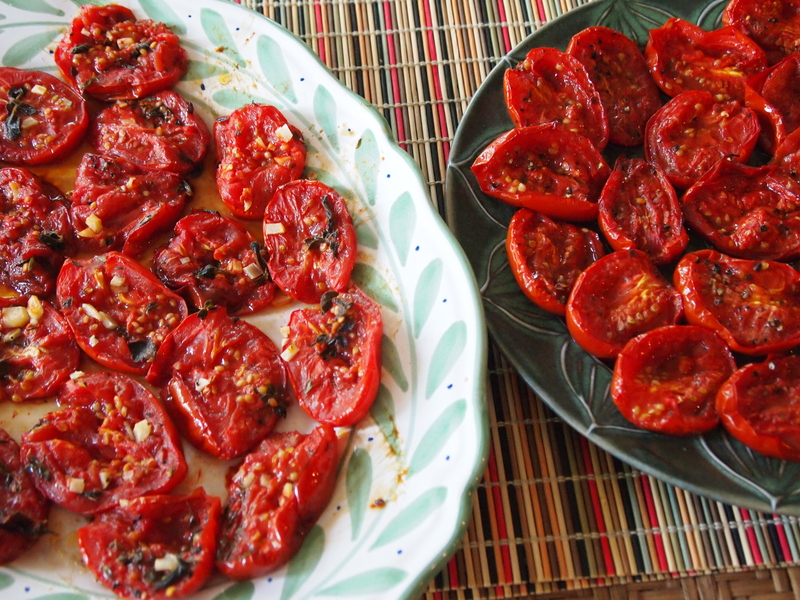 Season with salt and transfer to a bowl and set aside. While the pasta is cooking, heat 1/4 cup of the oil on medium-high heat in a large saute pan. Add the cauliflower and brussels sprouts and season with salt and black pepper. Cook over moderately high heat, stirring, until lightly charred and crisp-tender, about 5 minutes. Add 1/4 cup of the oil to the skillet along with the onion, garlic, crushed red pepper, rosemary and thyme; cook, stirring, until the onion is slightly softened, about 3 minutes. 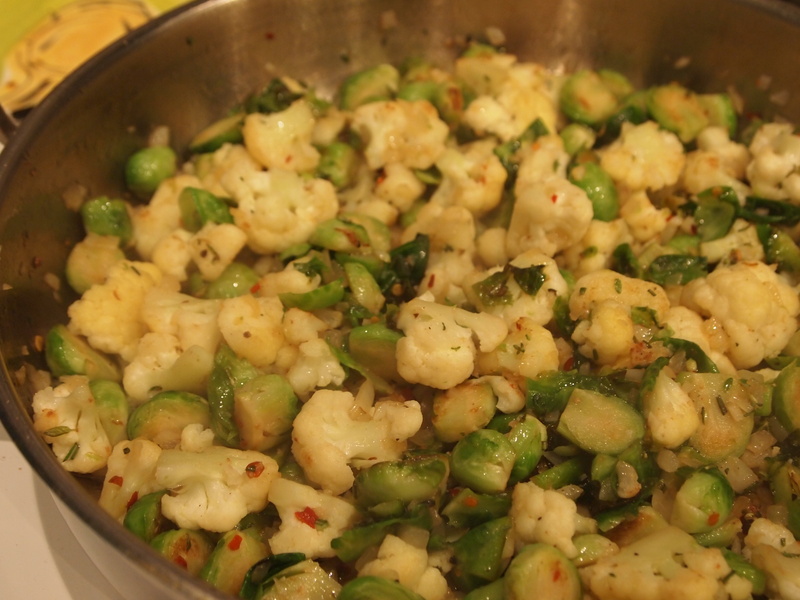 Cover and cook over low heat until the cauliflower and sprouts are tender, about 3 more minutes. Keep warm. I love stocking my freezer this time of year with goodies made from the abundant produce available. One of my favorites is ratatouille. It freezes well and there’s nothing like thawing and heating up a batch in the dead of winter to get a hit of late summer goodness! I’ve made ratatouille for this purpose for many years, but I wasn’t ever 100% satisfied with the results. While the flavor was always delicious, the end product was mushier than I like. 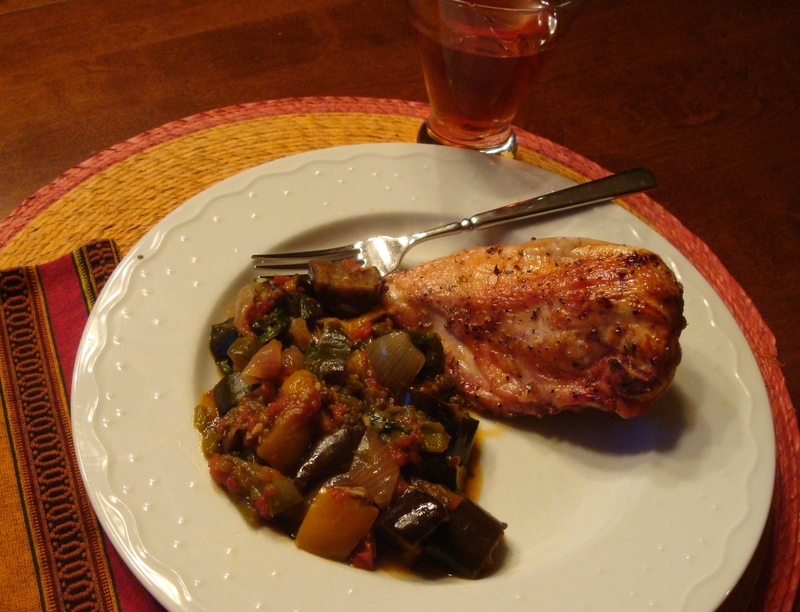 A few years ago I was talking with friend Kristi Mattson about making ratatouille – she has a big garden and was also making some for the freezer. 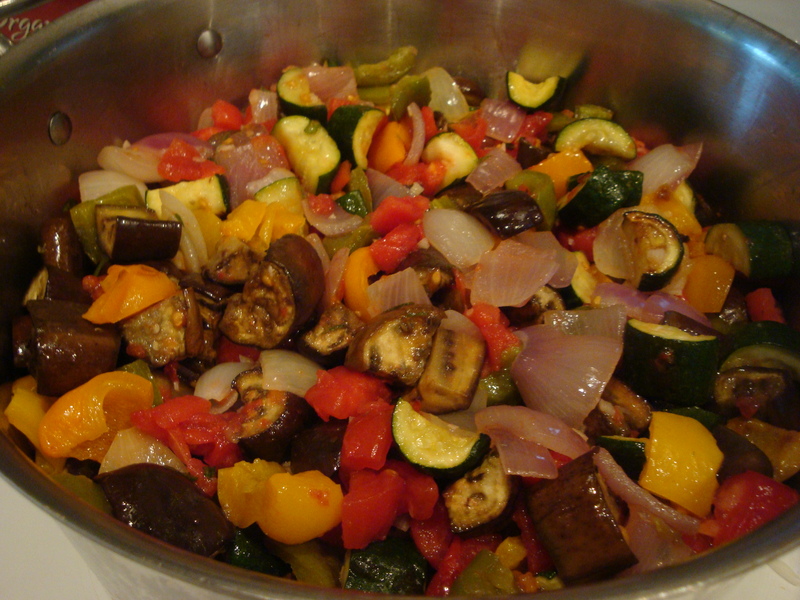 She shared her method of roasting some of the vegetables before putting them in the pot to cook the ratatouille. This was the solution to getting both outstanding flavor and texture. The ingredients are the same, but this method makes a big difference! In addition to serving this as a side dish to grilled salmon or roast/grilled chicken, we love tossing it with pasta with a generous sprinkling of parmesan cheese! Preheat oven to 425 degrees. 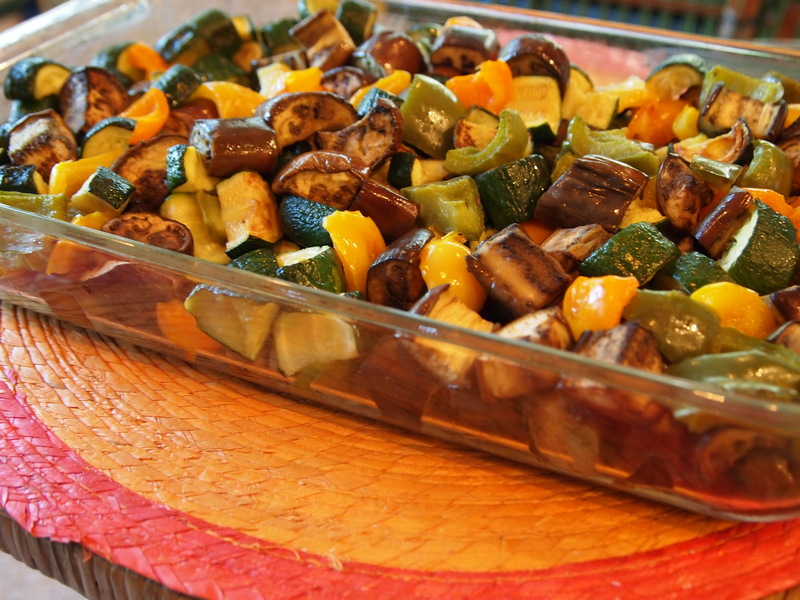 You will roast the bell peppers, zucchini/yellow squash and eggplant. 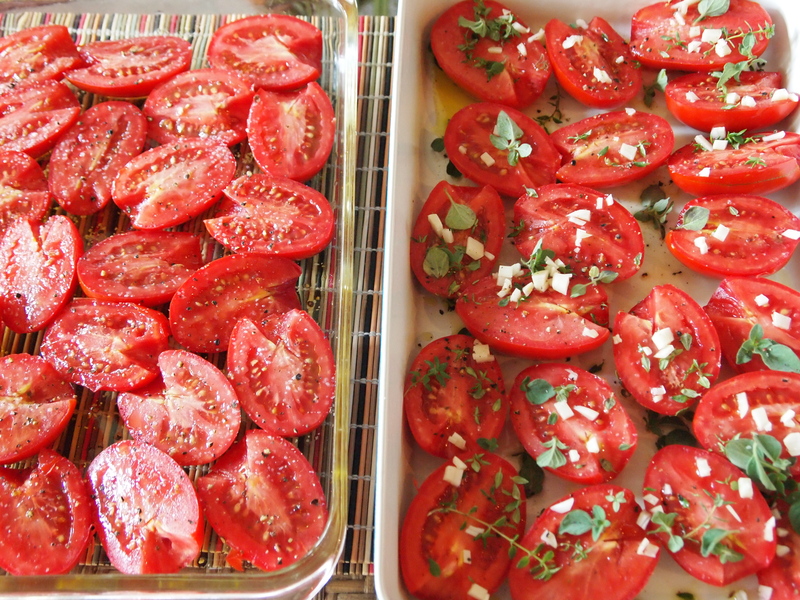 First, toss each vegetable lightly with olive oil and turn into a foil-lined jelly-roll or large roasting pan. Roast for about 12-17 min, stirring half-way through. The vegetables will be done when they are just starting to show a few browned spots. 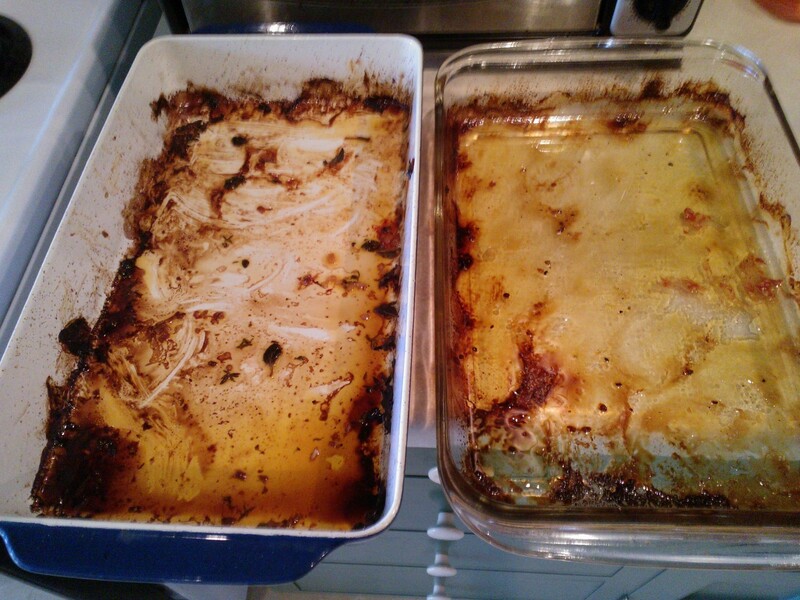 (I found that I needed 2 pans for the eggplant and 1 pan each for the peppers and zucchini with the above quantities.) Turn onto a large platter or oblong glass baking dish. Set aside and cool. In large stockpot or dutch oven, heat the olive oil and sauté the onion until beginning to brown, about 10 or so min on med-high heat. Add the garlic, oregano and thyme and sauté until fragrant, about a minute. Add the roasted peppers, zucchini, eggplant, and the tomatoes and their juices. Stir just to combine. Bring all to a bubble, then turn down heat and simmer, covered, for 15 minutes. Take the lid off the pan, turn up heat slightly and simmer, uncovered, for an additional 30-45 minutes, until the liquid reduces. During this time, check every 10 minutes to make sure the bottom layer is not burning. 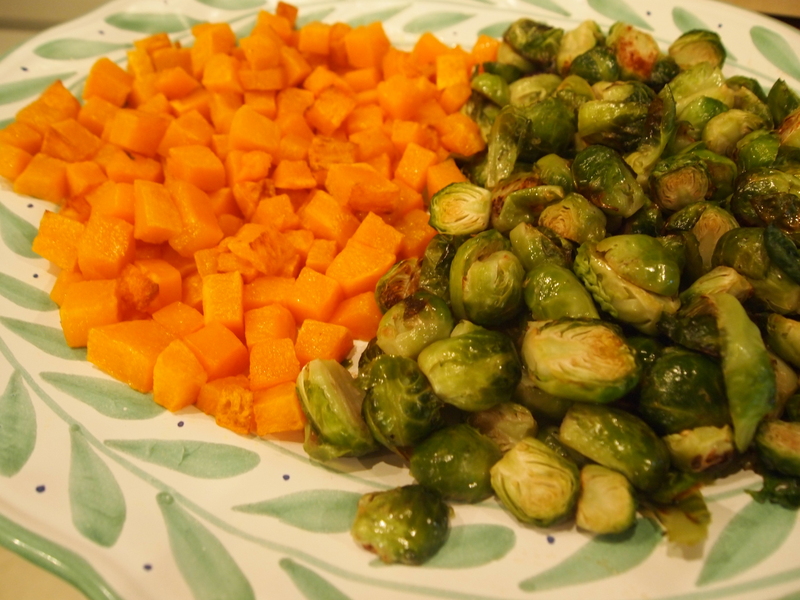 Stir a little, but don’t over-stir in order to preserve the shape of each vegetable. Add salt and pepper to taste. Right before serving, stir in the basil and parsley. If freezing, omit the basil and parsley step and put in containers and place in the freezer. 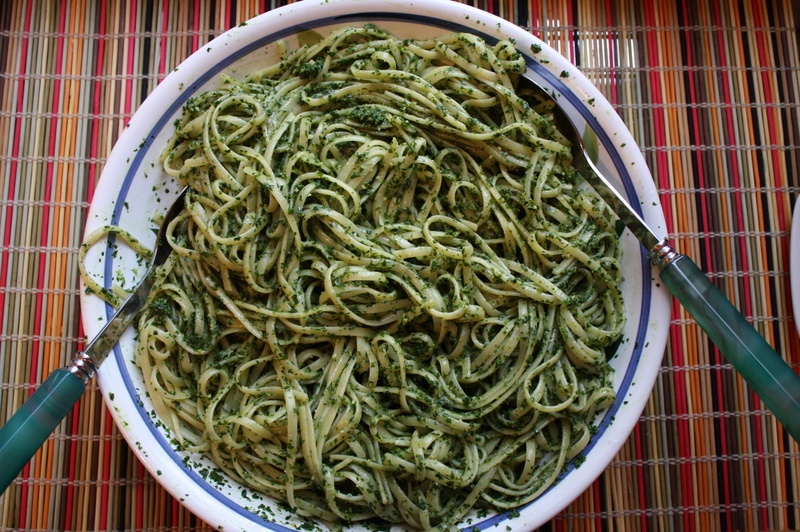 When using later after thawing, stir in a gremolata of the following, right before serving. 2 tablespoons finely minced fresh basil and/or parsley, 1 tablespoon grated lemon zest, 1-2 finely minced cloves of garlic. Adjust amounts to how much ratatouille you have. This can be used even when not freezing – it brightens the flavor but is especially fabulous when using frozen/thawed ratatouille. COOK’S NOTES: This method is a 3-4 hour project, but is definitely worth the time. The quantities given made a little under 4 quarts finished product. 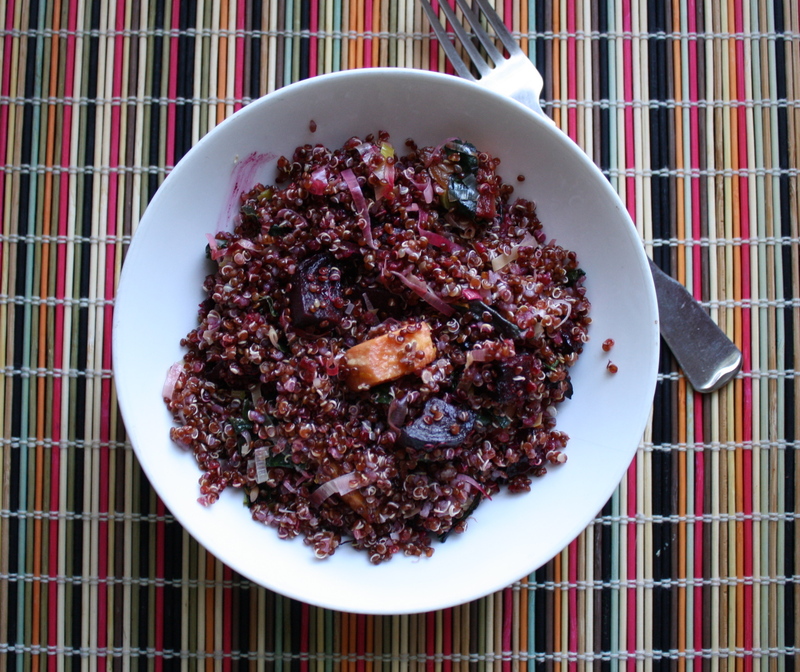 This is a recipe where you can definitely adjust the quantities to your taste or need for amounts.